How fitting my first blog features my favorite feature of the face? Brows can transform a face from blah to spectacular. Everybody is different when it comes to grooming, drawing, or sculpting their brows. 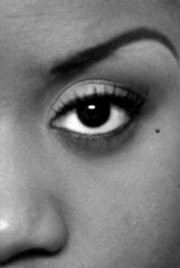 Although there are no rules to makeup, there are techniques to making your brows look like the famous Kevyn Aucoin has just graced your face with his hands or on a more local level me, Porsche' J. The first technique is picking the right color for your brows. Color is essential to producing the perfect eye brow. Well, there is one rule I will instill in my readers: There is no such thing as coal black color brows unless you're going to a costume party and dressing up like Cleopatra. 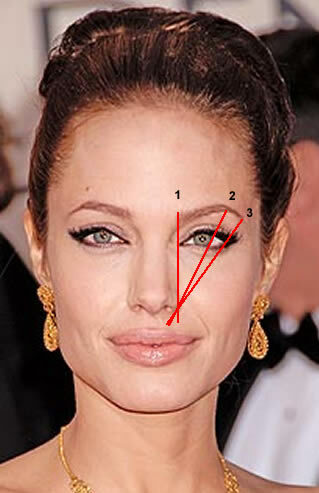 No matter how beautifully deep pigmented your skin is, there is no reason for jet black brows. Use the color of your hair for guidance. If your tresses are black, pick out a black-brown pencil or powder. Benefit Cosmetics, Brow Zings in Dark (http://www.benefitcosmetics.com/product/view/brow-zings) is a great product for shaping and filling in the brows that offers you a variety of colors. 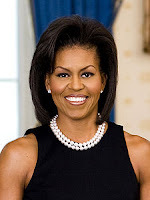 I don't know what our First Lady Michelle Obama uses, but her flawless brows are giving me LIFE!!! For my blonde bombshells, use a cool light brown. 'Lingering' or "Fling' brow pencil from M.A.C. (http://www.maccosmetics.com/index.tmpl) is the perfect color for you blondes out there. The next technique is shaping. Getting that perfect shape is just a makeup brush away. First, pick up your makeup brush and make sure its long enough to reach from your eye to your nose. Position the handle on the side of your nose to the inner corner of your eye. It should be placed vertically. This is where your brows should began. No angry brows here. Next, to make the arch, angle the brush about 45 degrees or placed in the middle of your eye. The brush should still be touching your nose. Keep the arch soft and rounded, no McDonald's arches or pointy mountain peaks. Finally, angle the brush so that it comes to the outer edge of your eye while still touching your nose. This is where the brows should stop. In addition to shape, getting the right thickness can be tricky. My suggestion is to have a consistent thickness and to gradually taper to a point at the end. In parting, I would like to share my current brow creation. 9 comments on "IT'S ABOUT BROWS!!!!"